This bridge provides pedestrian access as well as fire access to Snowmass Base Village. 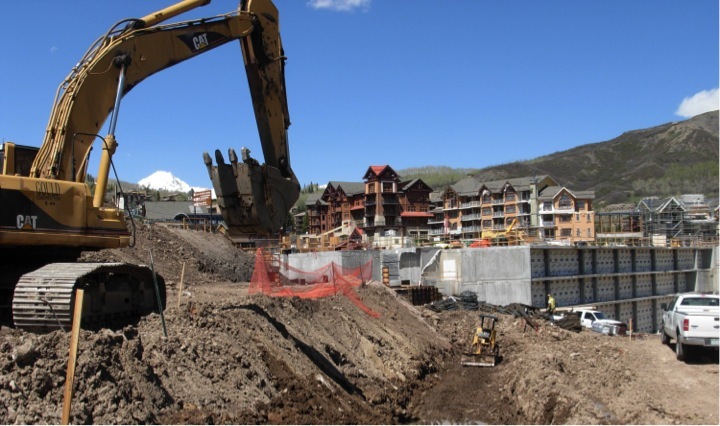 Scheduling of this project was of utmost importance to the owner due to the fact that vertical construction of Base Village was halted until the fire access bridge was in place. Other challenges faced on this project included; un-anticipated ground water, minimal work space, unanticipated and out of sequence construction and acceleration of portions of the Little Nell building. Design flaws were in part identified by Gould construction’s GPS department.